The Axis. This newly completed high rise condominium is located on Thappraya Rd. with less than 5 minutes’ drive to Pattaya City or the Jomtien beach area! 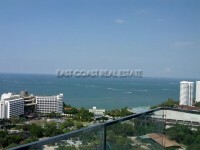 The condo is surrounded by many Thai/International restaurants, local businesses, convenience stores, etc. This 58 sqm 2 bedroom unit will come fully furnished, European style kitchen, flat screen TV’s, air conditioning is in every room. Facilities of the building: 24 hour security, key card access into the building, parking space, fitness, communal swimming pool (on the same floor as the condo unit), maid service, lobby, free Wifi and free Cable TV. Owned in Foreign Name (freehold) ownership with all taxes and transfer fees split 50/50 between seller and buyer. This condo can be rented with a minimum of 6 months contract at slightly highger price. The advertised price is for a 12 month contract and the rental price is excluding all utility bills! Please call us to view the property. Living area : 58 sqm.